We have a pretzel problem around here. Between me and my frugal friend, we have posted multiple times about all different kinds of pretzels. 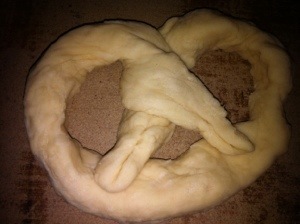 Today we are going to learn how to make a classic….Giant Soft Pretzels. 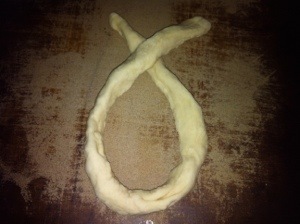 Once your dough is ready, boil your water in a large pot and stir in the baking soda. 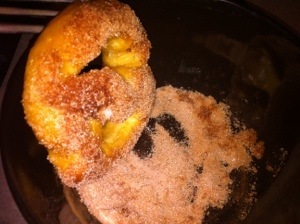 If you want cinnamon/sugar topped pretzels, combine them in a bowl and set aside. 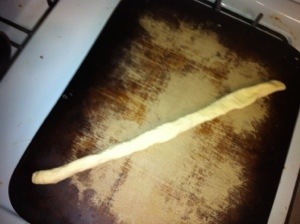 Once your water is warming up roll your dough it into long strands. About 15-18 inches. The longer they are, the bigger your pretzels will be. 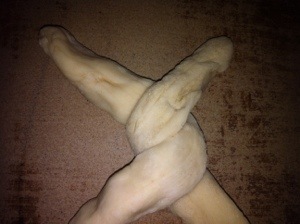 Cross the ends over of your dough. Pinch the corners down so it holds its shape when you boil it. 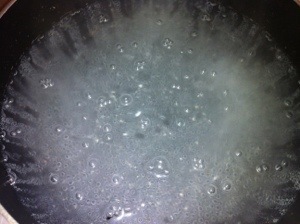 Drop it in your boiling solution. Boil for 2 minutes on each side. Bake your pretzels on 425 for 8-10 minutes. 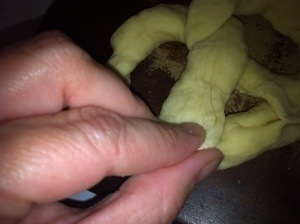 While your pretzel is still hot, top with butter. 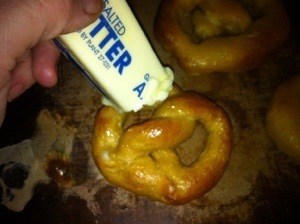 If you just want a salty pretzel, now is the time to sprinkle the pretzel salt on top. 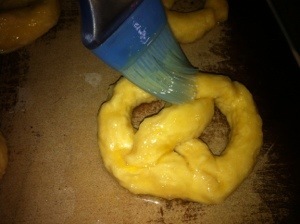 If you want cinnamon/sugar pretzels, lay them face down in the mixture before the butter dries.